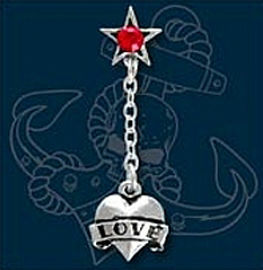 From the UL17 Rock Jewellery range by Alchemy, a single dangle earring. 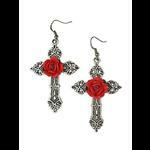 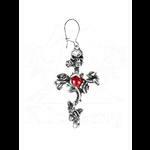 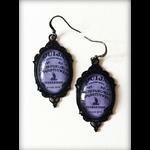 The earring comprises of a small pewter heart with a tattoo scroll and the inscription LOVE. 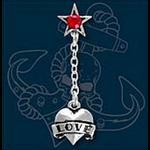 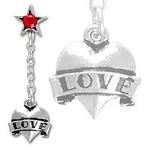 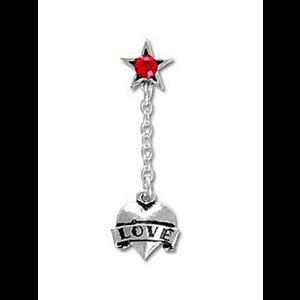 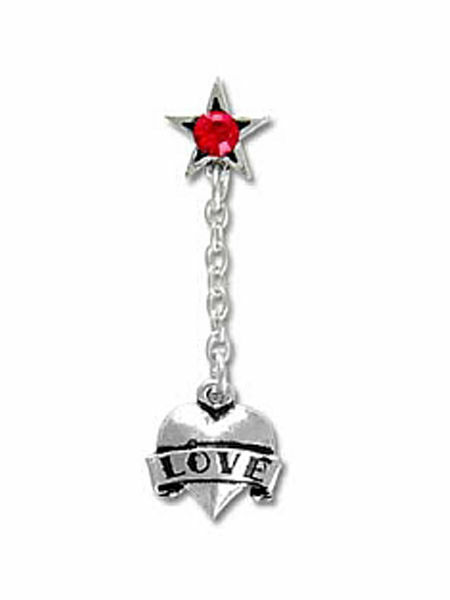 The heart is attached to a chain which is attached at the top to a star shaped stud with a red crystal. 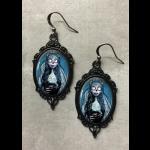 Plastic butterfly back.